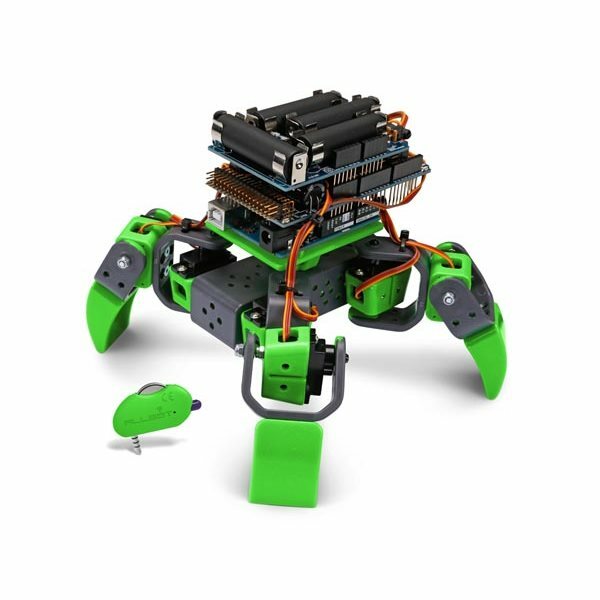 The ALLBOT VR408 Four Legged Robot is modular robot body kit used to build four legged Arduino compatible robots. 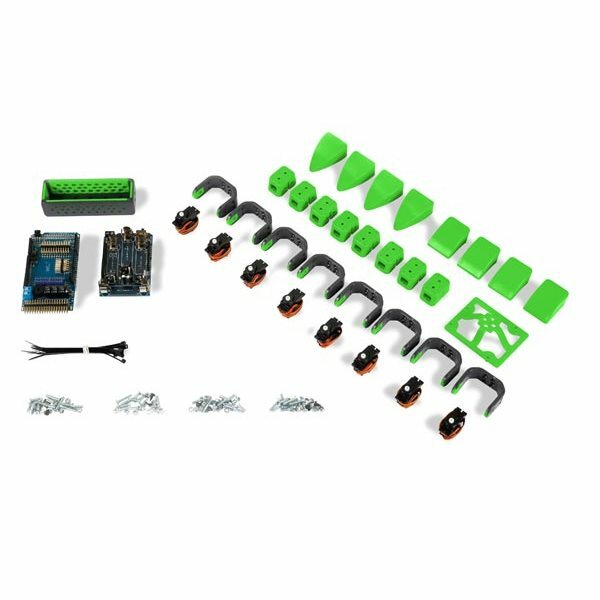 This robot construction set features eight servos, servo controller and power shields, an IR Infrared smartphone transmitter and a collection of plastic parts hardware for building a four legged robot body. Just add an Arduino Uno or Mega compatible microcontroller for a complete four legged robot. The eight servos are controlled using the included VRSSM servo motor controller shield. This Arduino shield can drive up to 16 servos when attached to an Arduino Uno or up to 36 servos when attached an Arduino Mega. 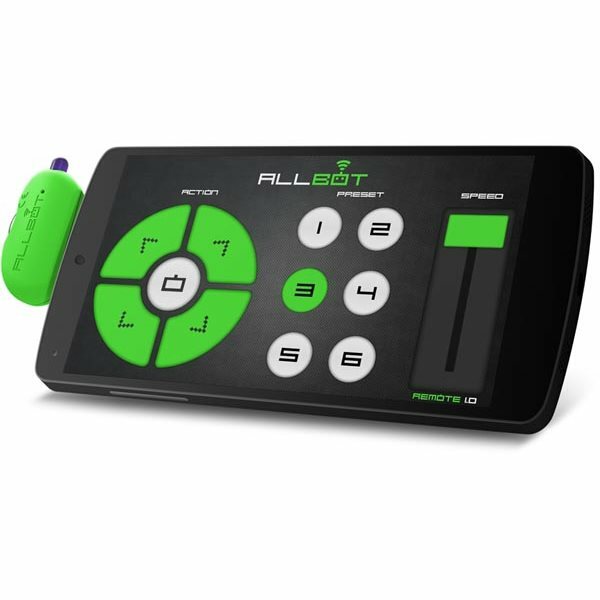 It has a built in IR Infrared receiver for use with the included smartphone transmitter. A buzzer is also available for making sounds. This shield has connectors for attaching up to 36 servos, 5 analog inputs and a power supply. The robot is powered using a VRBS1 power supply shield with four AA batteries. This shield provides unregulated 6V power to drive the servos and a boosted 12V 300mA power supply for the Arduino. It also provides a power switch and indicator LED. A VR001 smartpone IR transmitter is included for controlling the robot from a smartphone. 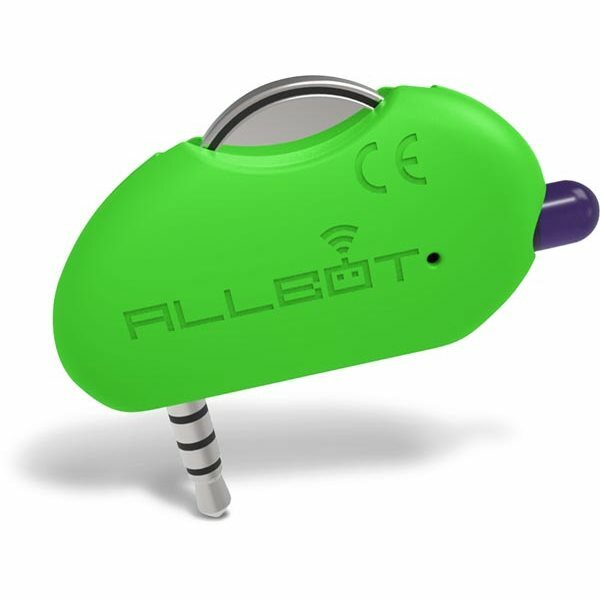 It plugs into the smartphones headphone jack to communicate with the robot using invisible infrared light. Apps are available for Android and iPhone. The robot is constructed using a collection of plastic parts. All parts are included except for the Arduino Uno or Mega compatible microcontroller. The legs are powered by eight 9g servos. Two feet styles are included. 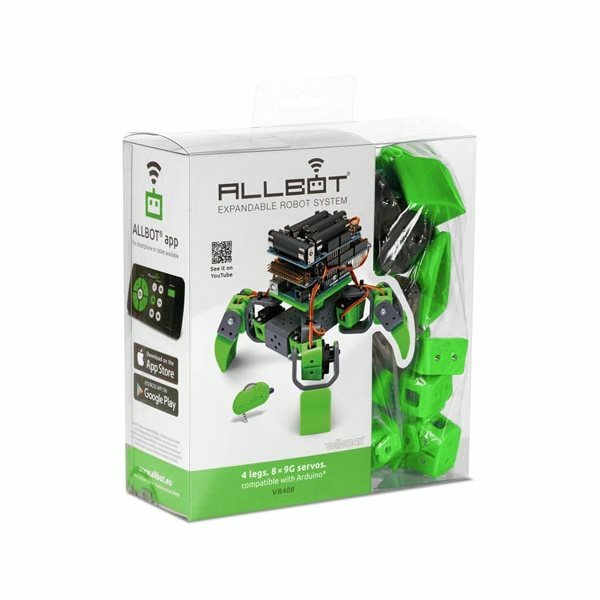 The ALLBOT VR408 robot can be programmed from the Arduino IDE using a downloadable Arduino library. It can also be programmed using the kid friendly Scratch graphical programming blocks. This kit is assembled using nuts and bolts. No soldering is required. It requires an Arduino Uno or Mega compatible microcontroller and four AA batteries.